I met the drift crazy couple Andy and Emily at Ebisu around July this year and we instantly got on like a house on fire. The same day we met, Andy took me to see his newly acquired garages at Ebisu where he works and keeps his collection of full-tuned, drift power vehicles. F irst was his 500+PS competition JZX100 Mark II, then Emily’s pink kouki s14 Silvia, show car/full drift spec wide body 180sx and Tsukuba time attack prepped FD RX7. And that was just what was inside the garages. Outside looks like your local import car sales yard with street going drift cars all shiny and just wanting to be slid…which is because the main business he does at Power Vehicles is buy high performance JDM cars here and then sell/exports them to buyers overseas. Mainly Europe but they will export to any country in the world! Power Vehicles used to be based in Saitama but couldn’t stay away from Ebisu circuit so they moved up here to run their business from the best drift track in the world. Power Vehicles also started drift tour packages for anyone who wants to come over and experience drifting first hand. They can organize everything for you from cars to use, to a place to stay to a team orange drift lesson. Recently, they helped a whole crew from Australia, NZ, and Europe with cars etc. for the Autumn Drift matsuri (festival) in Ebisu. 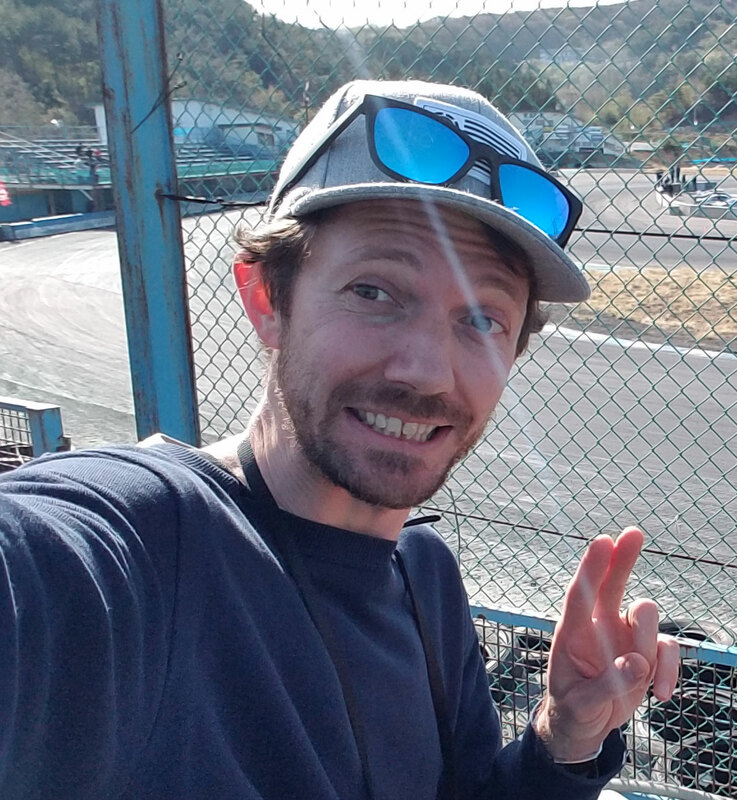 Thanks to Andy and his ‘foot to the floor’ way of thinking, he was able to convince Kumakubo and Naoto Suenaga to put on the first ever G1 GP (gaijin only drift competition) where we (myself included) got to battle it out D1 style on Nishi course! Learn more about Power Vehicles at the website: http://powervehicles.com and check out their Drift Life Blog to keep up with the latest news from Ebisu. Fortunately, he updates more than me so you’ll always get your fix of drifting there.